We don’t sit around our post home on Veterans Day. 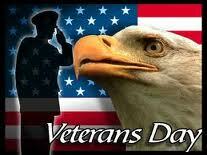 It is a day for the living and celebration of the many and continued contributions of our veterans. UNC-Chapel Hill ROTC Units Honor Vets – The cadets of the University of North Carolina at Chapel Hill ROTC units invited veterans to the 2013 Veteran’s Day Ceremony at the University of North Carolina at Chapel Hill on Monday, November 11, 2013. This ceremony was hosted by the officers and students of the Army, Air Force and Naval Reserve Officer Training Corps. The ceremony will be located at Carolina Alumni Memorial on Cameron Avenue between Phillips and Memorial Halls on the UNC Campus and will begin at 11:00 AM. Carolina Womens’ Basketball Military Appreciation Day – Veterans Day events are plentiful in Chapel Hill. Here is information on a UNC Chapel Hill special Military Appreciation Day Women’s Basketball event for veterans was on Friday, November 8th. Carolina played Air Force at 4:30 pm in Carmichael Auditorium in Chapel Hill. UNC Hospital Chapel Hill Veterans Recognition – The American Legion participated in UNC Hospital’s annual recognition of veteran hospital employees and our local veterans. The event is held in the North Carolina Memorial Hospital building in the atrium. Starting time is 2 p.m. the afternoon of Friday, Nov. 8. Post Commander Lee Heavlin spoke about veterans and their community activities and then presented special recognition awards to American Legionnaires. Awards were presented to three of our members: Robert Bauman, Robert Medred, and Pete Jaeger. This was our opportunity to publically recognize active post members and use the recognition to motivate others to participate in veterans activities. 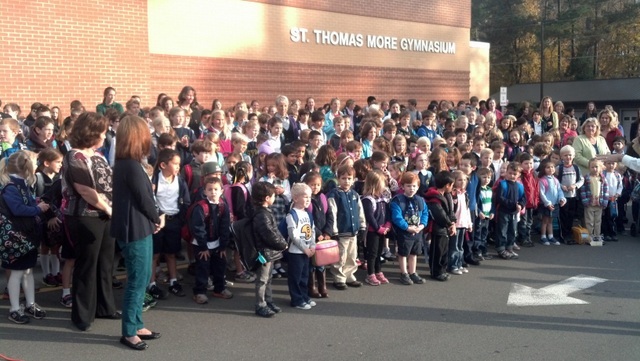 Local Students Honor CH Veterans – Nov 12th – St. Thomas More School. St. Thomas More School invited Armed Forces personnel and veterans to participate in and be honored at a ceremony at the school on Tuesday, November 12th (the day after Veterans’ Day). This was a very big event and, as you can see from the photo, everyone participates. It is a fun event that creates a few tears, as the youngest students hoist Old Glory and salutes our flag.